Why would I need self storage in Granada Hills, CA? There are a variety of reasons why you might need self-storage in Granada Hills, CA. How much is a storage unit in Granada Hills, CA? The cheapest storage unit in Granada Hills, CA is $87.00 per month. What size storage units do you have available in Granada Hills, CA? In Granada Hills, CA we have sizes that range from 5'x5' to 10'x30' to suit your storage needs. How much is it for a 5'x5' storage unit in Granada Hills, CA? The cheapest 5'x5' storage unit in Granada Hills, CA is $87.00 per month. A small neighborhood in Northwest Los Angeles, Granada Hills has quickly become one of the premier residential areas in LA. Located in the San Fernando Valley area, Granada Hills and surrounding areas became part of Los Angeles in the early 20th century. Today, the community has a small but growing population and covers about 15 square miles. The area is known for its diversity, high median household income and family-friendly communities. Granada Hills is home to a number of amenities and attractions, ranging from arts and culture to history and the great outdoors. You can enjoy the beautiful California weather at O'Melveny Park, one of the largest parks in the Los Angeles area. Citrus trees, a picnic area, walking trails and a small stream are all features of the park. 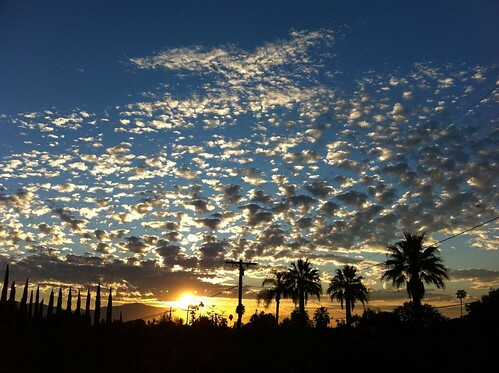 Spanning nearly 700 acres, O'Melveny Park also offers a scenic view of the San Fernando Valley. A portion of the city's White Oak Avenue earned designation as a Los Angeles Historic-Cultural Monument in the 1960s. The street is lined with 101 deodar cedar trees, a tree traditionally found in the Himalayas. The area was also used as the setting for one of the most famous scenes from the Hollywood film "E.T. the Extra-Terrestrial." Granada Hills offers a variety of shopping, restaurants and family-friendly entertainment spots to enjoy. You can also always venture into nearby Los Angeles to access a range of big-city amenities just a short drive away. Granada Hills and the surrounding San Fernando Valley welcome businesses in a wide range of sectors. Television and movie production is one of the area's largest industries, and aerospace is a close second. The San Fernando Valley is also known for its many business and professional services companies, which support the creative and technical businesses in the area. With its location in the bustling Los Angeles metro area, it's no surprise that Granada Hills has several major industries. The largest include education and health services, professional and business services, trade, transportation and government. The area's fastest-growing industries include leisure and hospitality, education and health services, professional and business services. The Los Angeles Unified School District serves the public schools of Granada Hills. You can also enroll your child in one of the many private schools in the community and the surrounding city. Utilities: The Los Angeles Department of Water and Power, Southern California Edison and Southern California Gas are the central utilities providers in Granada Hills. Garbage and Recycling: The Los Angeles sanitation department facilitates collection of trash and recyclables in Granada Hills. Transportation: As part of the larger Los Angeles area, Granada Hills is served by the LA Metro. You can easily access many major points of the metropolitan area by using public transportation. Granada Hills is divided into two neighborhoods, Granada Hills North and Granada Hills South. If you're looking for affordable homes, you'll have more luck searching in Granada Hills South. The largest and most desirable homes in Granada Hills tend to be congregated around Knollwood Country Club in the center of the community. The median home price in Granada Hills is higher than the national average, but that's to be expected in this upscale Los Angeles neighborhood. Our lowest priced units in Granada Hills, CA average $87.00 per month. 33 people have reserved units in Granada Hills, CA in the past 30 days. There is 1 location within Granada Hills, CA's city limits.